The researchers looked at nearly 500,000 middle-aged and older adults and found those with higher fitness levels were less likely to develop heart disease over six years. And that was true even for people who carried gene variants that raise the odds of heart problems. 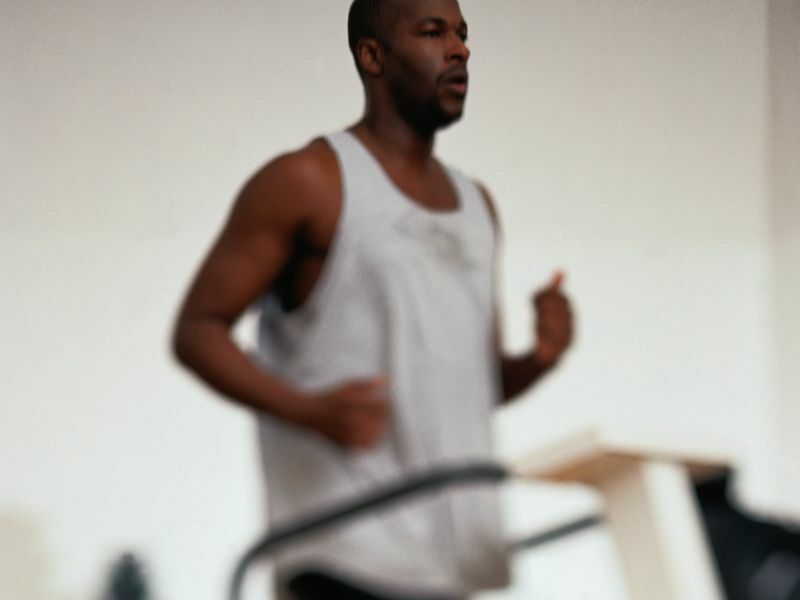 That does not mean exercise erases the effects of genes, the researchers added. But if you do have a genetic vulnerability to heart disease, you're better off being physically fit. "It's likely that if you try to improve your fitness level through exercise, you'll benefit," said senior researcher Dr. Erik Ingelsson, a professor of medicine at Stanford University in California. How much, or what type, of exercise is "enough"? The study cannot answer those questions, Ingelsson said. His team did not test any particular exercise regimens. The researchers looked at how people's fitness levels -- gauged during a stationary bike workout -- correlated with their risk of developing heart disease over the next six years. They found that regardless of the genes people carried, higher fitness levels meant a lower risk of heart trouble. Among the one-third of people at highest genetic risk, those with the highest fitness levels were 49 percent less likely to develop coronary heart disease, compared to those who were the least fit. And they were 60 percent less likely to develop atrial fibrillation. Coronary heart disease refers to hardened, narrowed heart arteries that can lead to a heart attack or other complications. Atrial fibrillation is a common heart rhythm disorder that raises the risk of stroke and heart failure. "This is a great study," said Dr. Suzanne Steinbaum, a cardiologist and spokesperson for the American Heart Association who wasn't involved with the study. "Exercise really is the best medicine." The study has limitations, she pointed out: It did not directly test the effects of exercise. It was an observational study that followed people's outcomes, so it does not prove cause and effect. Still, Steinbaum said, it is very large study that confirms what other research has shown: Staying physically fit helps ward off heart disease. The findings, published April 9 in the journal Circulation, are based on genetic data and other information collected from close to 500,000 British adults aged 40 to 69. Ingelsson's team gave each person a "genetic risk score," based on whether they carried various gene variants that have been linked to heart disease risk. The one-third of people with the highest scores were considered high risk; one-third were deemed intermediate risk, and the rest low risk. In the "real world," people at relatively high genetic risk of heart disease would not necessarily know it, according to Ingelsson. Some would, he said, because they have a family history of early heart disease -- which is generally considered age 55 or younger for men, and age 65 or younger for women. But even in the absence of that family history, people can still carry culprit genes, according to Ingelsson. Over six years in the study, just under 21,000 people suffered a heart attack, atrial fibrillation or other cardiovascular complications. And people in the high genetic risk group were most vulnerable: They were 77 percent more likely to develop coronary heart disease, for example, compared to people at low genetic risk. However, physical fitness generally curbed any heart risks -- no matter what the genetic susceptibility was. That was true even when the researchers weighed other factors, such as whether people smoked, were overweight, or had conditions like high blood pressure or diabetes at the study's start. "It's safe to say that if you exercise regularly, it's likely to translate into improved survival," Ingelsson said. That's a critical message, according to Steinbaum. "So often," she said, "I hear people say, 'Well, heart disease is in my family, so I'm going to get it.' But even if you have a genetic predisposition, exercise can change your outcome. It's still in your hands." And, Steinbaum stressed, your workout does not have to be elaborate or involve a gym membership. "It doesn't matter what the activity is, as long as you're getting your heart rate up," she said. "You can go to a gym, or dance and do jumping jacks in your living room."